Apple may be facing a few problems with the development of their wireless AirPower charging mat, but that doesn't mean they're giving up the fight - indeed, reports suggest the mats are scheduled to arrive in September. On top of that, though, Apple is also reportedly working on an entirely new, slightly unorthodox form of wireless charging. According Nikkei, Apple plans to allow future AirPods cases to be used for wireless phone charging. "The product could be available as soon as the end of this year," Nikkei's industry source said. "However, the schedule is still subject to change." This may sound unlikely -- a healthy dose of skepticism is certainly warranted with any information obtained from anonymous sources -- but it's not an impossibility. 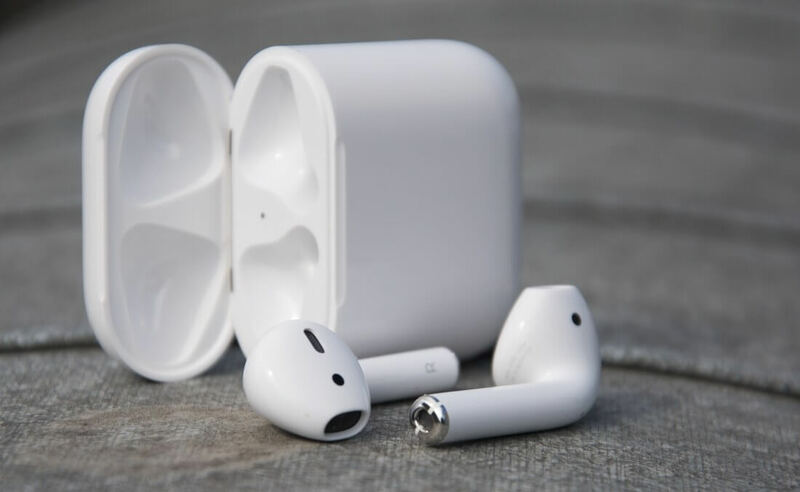 Apple has already announced their plans to develop an AirPods case that could wirelessly charge via the previously-mentioned AirPower charging mat, so the technology necessary to make phone charging a reality could soon exist. With that barrier out of the way, it will likely come down to whether or not Apple's engineers can get the wireless charging tech to work with full-sized smartphones, which tend to consume significantly more power than a pair of AirPods. We've reached out to Apple for comment on the matter, and we will update this article if a company spokesperson responds.